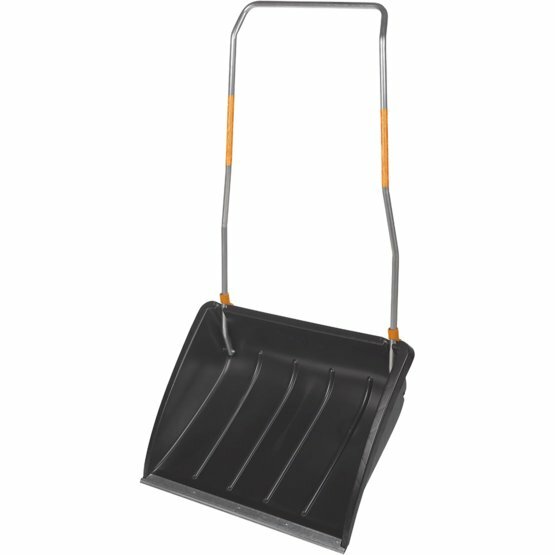 Fiskars Foldable Snow Sledge is the perfect tool for clearing mid sized yards where a snow shovel isn't enough. This snow sledge features a long steel tube shaft making the sledge easy and light to use. Clever design means that the foldable shaft makes it easy to transport and store. The reinforced scoop of injection molded polyethylene plastic ensures high stability and lightness and works well to cut through the snow further assisted by a tough zinc coated steel scope edge. Reflectors on the handles mean you will be visible to others even in the darkest winter night.